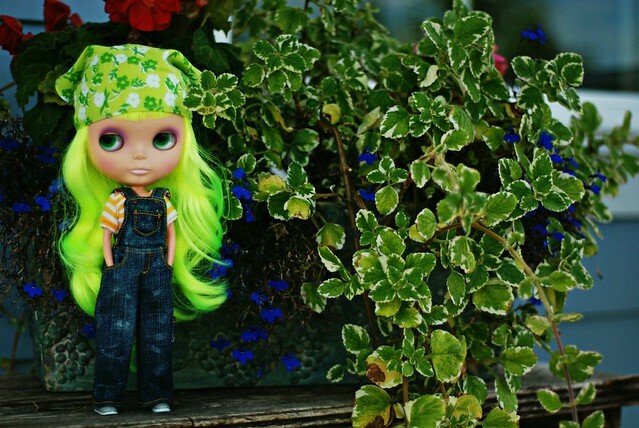 I had a friend on flickr that had the most wonderful Fansy Pansy blythe doll with a lime green re-root. I LOVED it and wanted one badly. 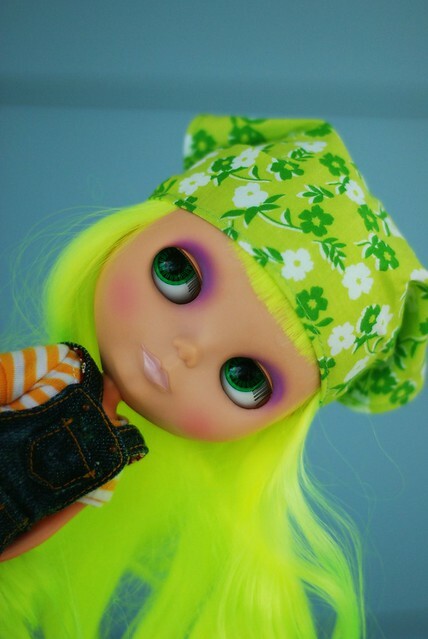 So, I asked this friend if she wouldn't mind if I made a doll similar to hers. She said OK! So without further ado this is Greta Green. I can't wait to take more photos of her.